Finland was known for their fantastic snipers in World War 2, especially a man named Simo Häyhä. Yes, I’m back. Feels good man. No, literally. Finland sniped the key without a scope. Also, the cartidge can go as fast as up to 915 metres per second. That means that it took the bullet to fly as long as 2,199.7 seconds. That means that Finland had to shoot the bullet 36.6 minutes earlier than when they arrived. In other words, Finland knew they were coming. @Gen-SilverChicken Simo Häyhä (the sniper mentioned in the description) was actualy famus for never using a scope. *slides 10 dollars to Finland* Please shoot Donald Trump if he becomes president. 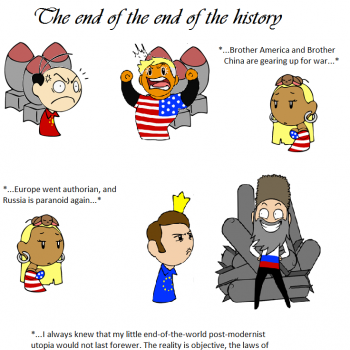 @DarkMage7280 *Slides Finland 300 Euros* Is that enough for you to kill Prince Williams? "You asked me to kill Prince WilliamS." "Give me money back, then!" @Polosha77 *slides money back* Hun, it's free. 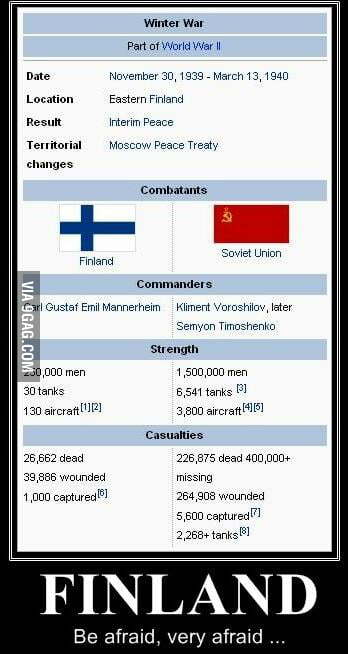 Why is Finland so savagely amazing? First he can pull a knife out of thin air and now he reveals he can snipe someone from halfway across the continent?? Damn your cool Finland. Flat Earthers will say that this is only possible if the Earth does not curve. I say that this is possible on a curved earth with Häyhä. Many real-life artillery weapons and warship weapons take the curvature into account when aiming. That's how we get weapons that can kill you from BELOW THE HORIZON! Also, some long-distance snipers abuse gravity to shoot people hiding behind walls and stuff. 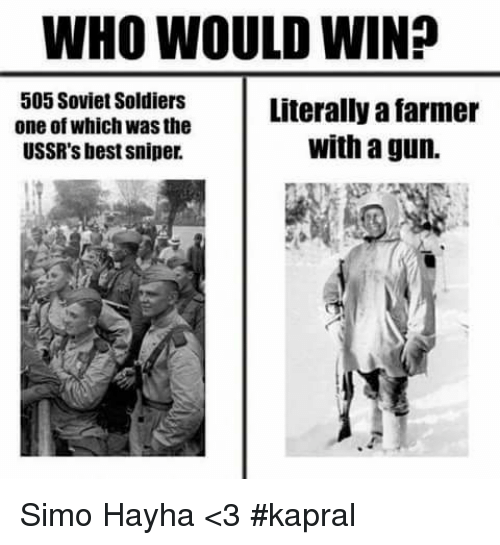 But only Häyhä could have taken that shot! @SuomenJoukot Yea don't touch our coffee. Just don't, or we'll come and 360 no scope you. I have to say, that Switzerland would NEVER approve of someone shooting at another country (and autonomous region) He would press the "Explode all bridges, tunnels and other connections we have with the outside world" button in case Sweden declared war. They actually have that button. @CheeseKingofDenmark Nah, Finland shoot the key that was In his own territory, not someone else's. So I suppose Switzerland would be fine with it. Finland wanting to show just how accurate and long shot he can be... Tiny key all the way back in Finland was just perfect for that. Preventing theft was of course a factor. (Not that he would necessarily tell that to Switzerland).